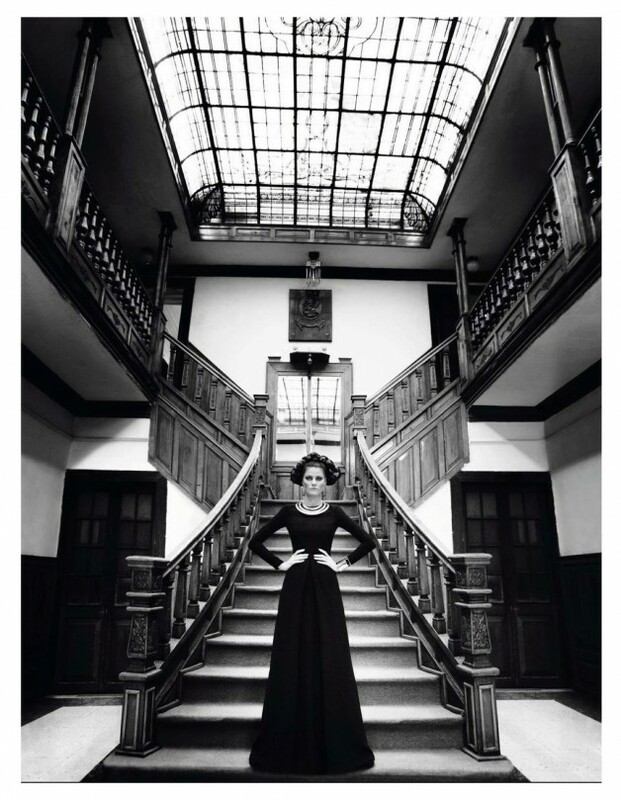 Photographer: Mario Testino. 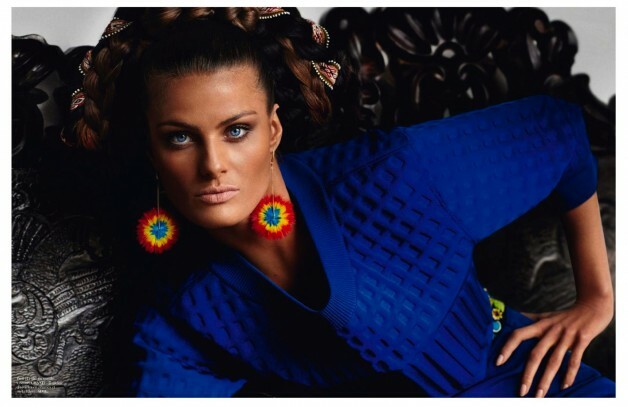 Model(s): Aymeline Valade, Isabeli Fontana. 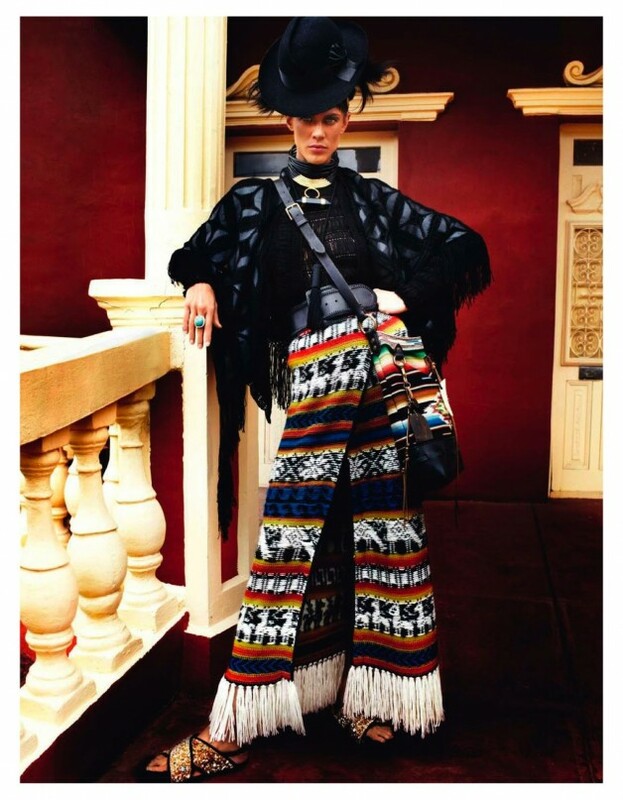 Source: Vogue Paris. 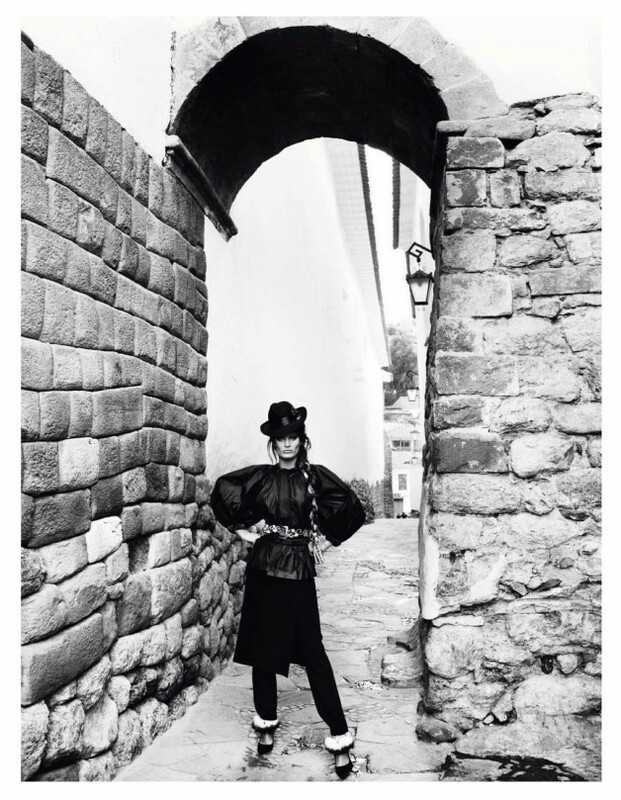 Stylist: Emmanuelle Alt. Makeup: Charlotte Tilbury / James Pecis. 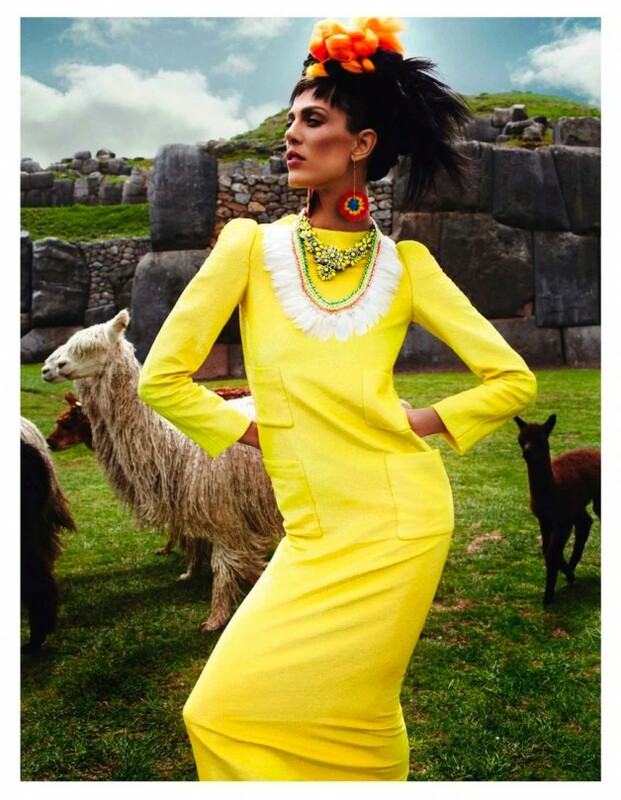 Emmanuelle Alt continues her pilgrimage to Peru in ‘Inca’ by Mario Testino for the April 2013 cover/editorial of Vogue Paris. Shot in all it’s natural wonder,the majestic backdrop of the Peruvian highlands come to life, in this awe-inspiring depiction of the pastoral landscape. 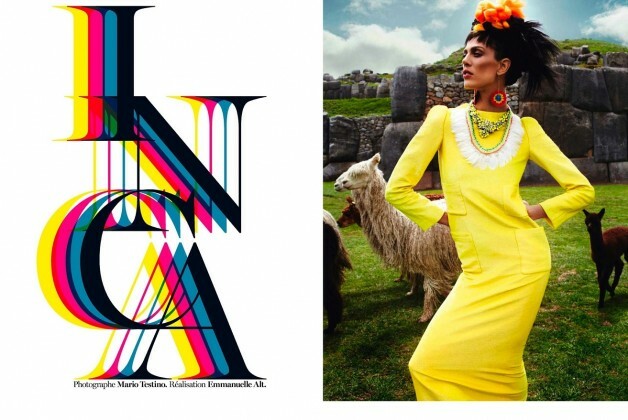 In what was the center of the Inca Empire, Isabeli Fontana & Aymeline Valade channel the spirit of the Cuzco region, garbed in a bold blend of modern fashions and authentic cultural wears. 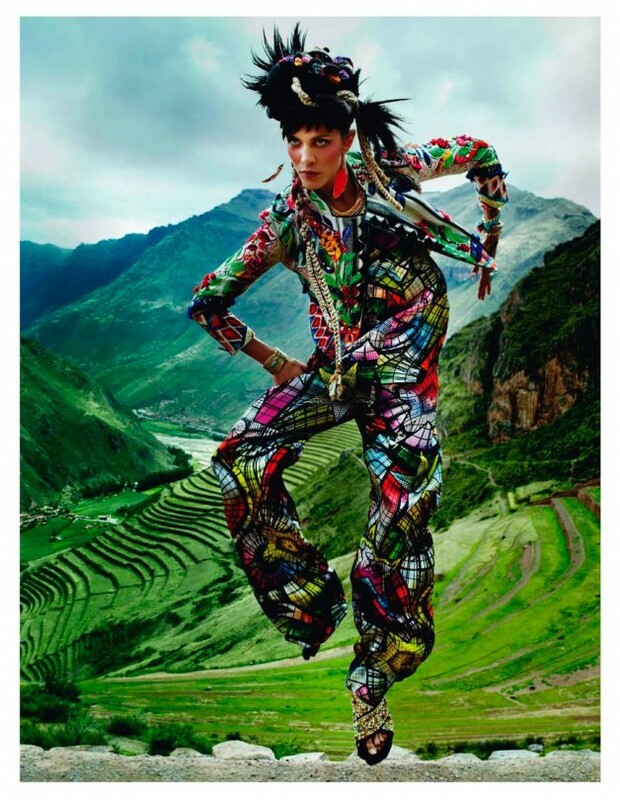 A feast for the eyes, Testino holds nothing back in this powerful portrayal of his beloved homeland. Entrenched in a world of artistry and splendor, the stunning spectacle that is Peru is alive in the passion of it’s people. Nowhere does the divine collaboration of art of nature show itself more vividly than this bountiful country. 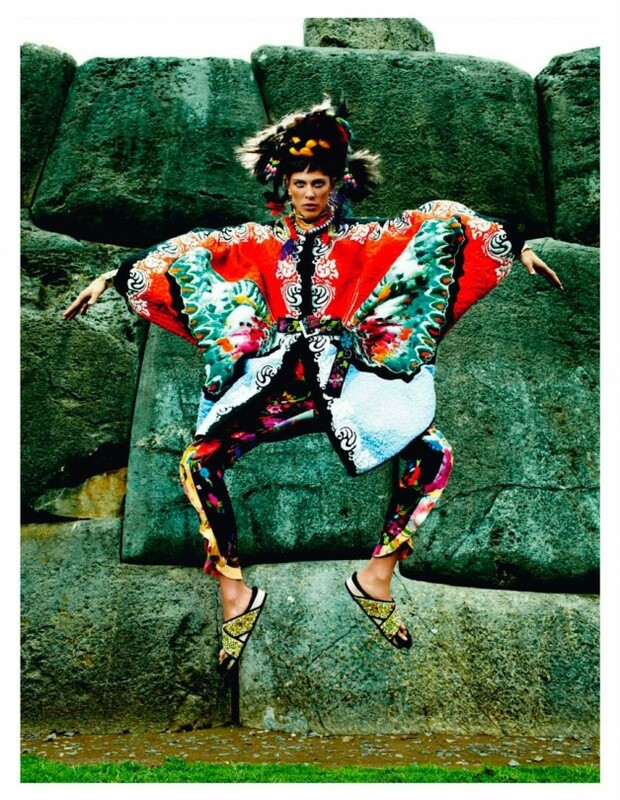 And while I must echo the sentiments of many of my fashion cohorts, that Kate Moss would have been a more powerful choice for the cover shot, I wonder if both Alt & Testino made their choice so that the beauty of Peru wouldn’t be out-shined by the captivating Kate.